It's a difficult, but fun task to come up with recipes for my cooking classes. This month was just as fun (and delicious) as any of the others. I try to incorporate unusual, exotic ingredients into each class to give participants an opportunity to try something new along with something tried and true. Getting an adult to try a new food or ingredient is very much like trying to do the same with a child. If you hide it or mask it as something else, everyone is happy. More often than not, all of the recipes come across as huge successes. This class focused on using calcium-fortified foods to help add more Vitamin D to your diet. The most popular way to get calcium is to drink milk. Well, I don't like milk. I never have liked milk. I am not lactose intolerant, but I just do not enjoy drinking it. The most Vitamin D-filled foodstuffs are fish products. Many people don't like fish. I cannot tell you how many times I was banned from my regular lunch table in school because my sandwich was "stinky". And wait for it...I've managed to debunk the myth that sardines are gross. Yogurt made with active and live bacterial cultures is a good source of calcium for many people with lactose intolerance. When this type of yogurt enters the intestine, the bacterial cultures convert lactose to lactic acid, so the yogurt may be tolerated due to a lower lactose content than yogurt without live cultures. There are also yogurts available made with lactaid, or soy products, too. 1. Place yogurt in a cheesecloth-lined colander set over a bowl. 2. Cover and refrigerate for 12 hours. At the end of 12 hours, discard the liquid and cheesecloth. 3. 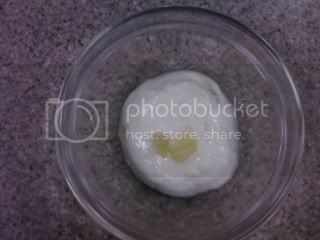 In a bowl, combine the drained yogurt, corn syrup, sugar, lemon juice, lemon peel, and fresh ginger. 4. Transfer mixture to ice cream maker and process per manufacturer's instructions, about 20 minutes. 5. Transfer frozen yogurt to an airtight container, fold in crystallized ginger and freeze for 2 hours. Notes: I lined a mesh colander with two paper towels (Viva brand) and the yogurt still drained properly. Also, I did not use the ice cream maker to aerate the yogurt. I simply put it in the freezer and let it freeze, churn-free. 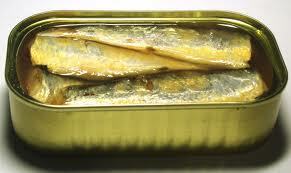 Sardines are high in Vitamin-D, as are most fish & crustaceans from the sea. They're small, packed in oil, hot sauce, tomato sauce, cream, and a host of other flavor vehicles--all to make the little fish appetizing & flavorful. Not everyone likes fish, so I created this recipe to mask the flavor of the sardines and still come out with a simple, delicious recipe. The sardines melt into the hot oil and all you end up with is a flavorful base to add to your pasta. 1. Soak raisins in a bowl with hot water. Drain. 2. In a heavy-bottomed saucepan, heat the oil over medium heat until almost smoking. 3. Add the garlic, sardines and sauté until garlic is lightly browned and sardines are melted. Remove and discard the garlic. 4. Add the breadcrumbs to the olive oil. Stirring constantly for 2 minutes. 5. 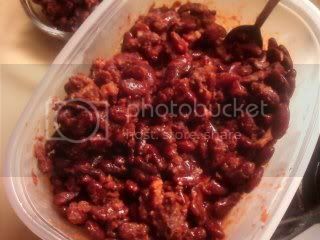 Drain and add raisins then turn off heat and set aside. 6. Bring 6-quarts of water to a boil and add the pasta and cook according to the package directions, until the pasta is al dente. 6. Drain well, reserving some of the cooking water. 7. Return the saucepan to the stove over medium heat. 8. 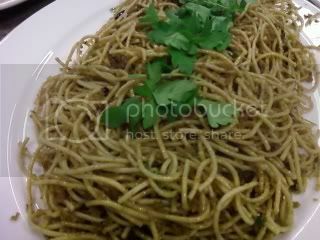 Add the pasta, chives, parsley, salt and pepper, and toss until all the ingredients are well combined and all of the pasta is coated with the bread crumbs. Note: If golden raisins are too exotic for you, use chopped kalamata or green olives.